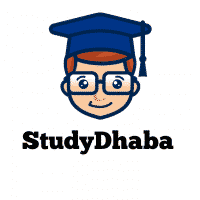 Important Local Winds World List PDF Download – Hello friends Welcome to studydhaba.com . Here We are sharing important Local Winds List . 2. Bora– Blows along the shores of the Adriatic sea. 3. Blizzard -Snow laden wind in canada. 4. Purga– Snow laden wind in Russian tundra. Much like Buran. 6. Levanter- Blows in strait of Gibraltar between Spain & Morocco. 8. Papagayo -Costa Rica, Mexico, Nicaragua. 14. Surazo -Cold wind blowing from Argentinean pampas & Patagonia. 15. Norte -A strong cold northeasterly wind which blows in Mexico. 16. Tehuantepecer -This is a violent, squally wind from north or north-east in S. Mexico. 1. Fohn -Warm & dry local winds blowing on leeward side of Alps in Switzerland. 8. Sirocco -From Sahara over Mediterranean. Known as khamsin in Egypt, Chili in Tunisia, Gibli in Libya, Levech in Spain & Leste in Madiera & Morocco. 13. Tramontane -A warm wind of central Europe. 15. Karaburan -Hot dusty wind in central Asia – Tarim basin, Mongolia. 16. Berg- A hot dry wind blowing from interior in South Africa. 18. Austru -Dry blows from the lee side of the mountains in Romania (much like fohn). 19. Almwind -Local name of fohn that blows in Hungary & Poland over Tatra mountains.